Looking for a Cost Effective Point of Sale System? 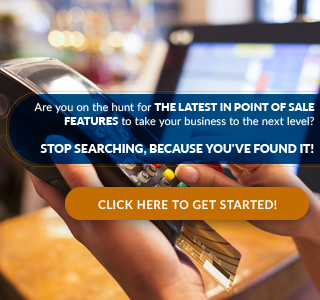 A Point of Sale System includes everything you'll need to get started with POS in your business. Depending on your needs and the type of business you have including bars, cafes and restaurants, through to retail, hotels, dry cleaning and more. Each system is made to provide the most efficient and productive POS experience for you and your customers. If you sell items or services to customers, you want an AAJ Electronics pos system to handle that. AAJ Electronics can cater for your business requirements based on their over 15 years experience in the industry. Integrating with leading third-party software and hardware vendors, AAJ Electronics has the solutions to help your business reach the goals you set out to achieve. We supply everything your business needs to stay ahead of the pack. Touchscreen terminals are just the beginning. We also stock printers, card readers, wristbands, card printing, scales, Barcode Scanners and more, as well as the perishables to support them. We pride ourselves on offering the features that give you a business advantage on your competitors. Our Software are feature rich, yet affordable and designed to meet the evolving needs of your retail & Hospitality business. Our lengthy track record as a proven point of sale solutions provider is driven by simplicity of use. Securing your business’s sensitive data and customers’ credit card information is crucial to reducing the risk of credit card fraud and protecting your business. AAJ Electronics credit card POS systems comply with PCI security standards, increasing your business’s reliability as a secure, responsible merchant. Keep your business and your customers safe with AAJ Electronics.